We R Memory Keepers WIRE CLIPPERS The Cinch 71001-1 at Simon Says STAMP! 71001-1 /5.9 This item is on reserve until If you would like to reserve this item now, you may purchase it now with the rest of your order. We will hold your order now and ship your entire order as soon as this item is back into stock. If you would like your order to ship now, please place this item on a separate order. 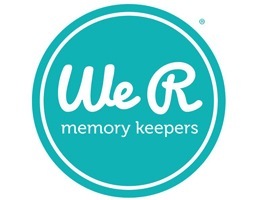 Success, We R Memory Keepers WIRE CLIPPERS The Cinch 71001-1 has been shared! The Cinch Wire Cutters. This pair of wire cutters was designed to be used with the Cinch Book Binding Tool (sold separately). They are strong enough to cut through metal binding wires and feature a needle-nose tip for bending wire into place. This package contains one pair of wire cutters with no-slip grip handles.